Is it finally official? That short of divine intervention, this grand old republic is a goner? It seems so. Oh, we may continue our slow fade from world power into relative obscurity (may we join you, Great Britain? ), or we may suffer a more catastrophic collapse (move over, Ceausescu), but the political rhetoric about restoring America’s greatness is more than ever form without substance. Exhibit #1 (the only one we need, as it turns out), is Donald Trump’s candidacy. It doesn’t matter whether he wins the Republican nomination or not, his status as Republican frontrunner this far down the pike has already signaled our last act (the depressing alternatives from the other party represent their own res ipsa loquitur, “the thing speaks for itself”). The seemingly mindless, irrational enthusiasm of his supporters, no matter how childish he sounds, no matter how offensive his remarks, reminds me of the emotional reaction of so many people to Barack Obama back in 2008 – except that it is far worse. It is worse because as naïve and foolish as they were to think so, at least some of Obama supporters tricked themselves into believing they were voting for a kind of unifying leader. Trump’s followers seem to like him because he lacks any shame. He is the TMZ candidate, a new manifestation of the Kardashian-Bieber-Cyrus monster that has broken through the hellish gates of Hollywood and invaded the body politic. To borrow from an ancient Latin prayer of exorcism, nunquam suade mihi vana! Sunt mala quae libas. Never tempt me with your vanities! What you offer me is evil. You are free to consider me a hypocrite for criticizing him so harshly. Just remember our ultimate concern should be for souls, not nations per se, nor their temporal power. Would this man lead the nation toward a more virtuous society? Quite the opposite. I am not a foolish romantic about our history. There have been prior times when mean-spirited people of low character ran for President. But in those prior times they sought to hide those aspects of themselves from the general populace to be elected. Despite what we sometimes got, the common people for the most part wanted our leaders to be virtuous. Now for the first time, a man may be nominated for one of the two major parties largely because of his obvious vices instead his alleged virtues. No longer are we even giving a wink and a nod to an expectation that the person in the highest office in the land should be a man of good character. It is another sign that the last vestige of Judeo-Christian values has been leached out of the fabric of our society. Virtue is passé. The day is far gone. To heck with the camel and the needle! Well, as I seem to repeat with depressing regularity, good thing this country isn’t my real home…. 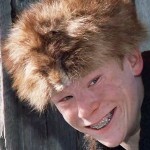 All hail President Farkus! Thanks Didymus. I certainly hope the Republican party tires of Trump and ultimately somehow rejects him in time for a better candidate to emerge. Just a moment ago I watched a CNN interview with Virginia Rep. Scott Rigell, in which he somberly declared that for the first time in his life he’d consider writing in a candidate in November, fully understanding what that means mathematically about this vote. His previous written statement: “Trump is a bully, unworthy of our nomination. My love for our country eclipses my loyalty to our party, and to live with a clear conscience I will not support a nominee so lacking in the judgment, temperament and character needed to be our nation’s commander-in-chief.” Nicely articulated, but perhaps too little too late. Thanks for the link. Well worth the time to watch. I love the Drumpf idea.